This blog hop will catch me up with my fellow writers and our efforts to come out of our writer’s shells. Okay that was a lie, there is no shell here. Thank you to Bill Cunningham at W. C. Cunningham Writes for including me in this blog hop. Bill is currently working on his first mystery/thriller. Bill is incredibly well read, has a beautiful blog and reviews other author’s work. I am looking forward to reading his novel. The rules of this blog hop are that I share 7 Lovely Facts about myself, and links to 15 blogs that I enjoy reading. This is tricky because they have to be seven new facts and I am an over sharer. I’ll need to dig deep. 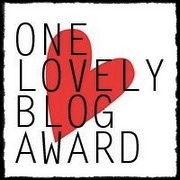 If I have nominated your blog, please don’t feel any obligation to join in but if you do, please link back to the blog of the person who nominated you (that would be me), share 7 facts about you and nominate 15 blogs (or as many as you can). 1 – Tonight I will probably finish the first draft of Forever Falling. My second novel picks up where Circling left off and readers get to meet more characters. I have decided to self-publish Circling when Forever Falling is complete and then publish Forever Falling a few months later. Tonight I made a connection with an editor and this is actually happening! 2 – Random fact: I have overcome a deathly fear of squirrels. This is serious and I feel like it is a huge accomplishment! 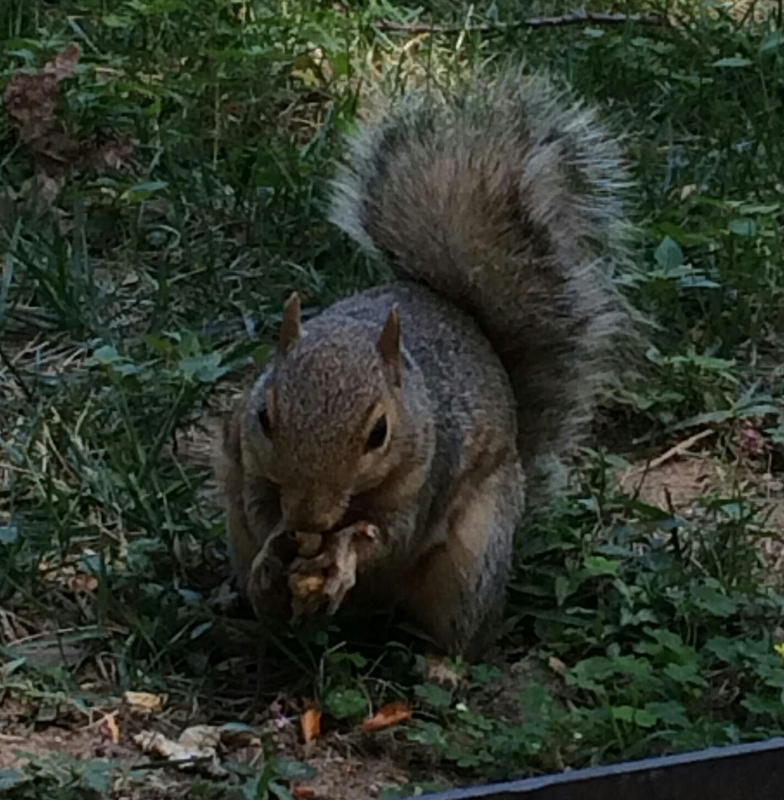 In college there were millions, no billions of squirrels at the University of Maryland. I would struggle class to class dodging these aggressive little shits. One winter break I got a job in a mall and met a women who went to the UMD as well. She kept telling me I looked familiar and we were trying to figure out the connection. Finally she asked, “Are you afraid of squirrels?” I’m better now. 3 – I have really excellent siblings and siblings-in-law. We all share fairly close political beliefs (thank goodness) and we are not bothered by our moderate religious diversity. They are all smart as hell, cook fantastically, love movies, music, and are all artistic in their own ways. We all love sci-fi and can listen to the same music, joyfully, for hours on end. Recently, independent of one another, we all developed an affinity for bluegrass. My sister introduced the rest of us to bourbon. One of my brother’s doesn’t know it yet, but he’s going to do the cover for my book, and the other brother just may have some cover art for me. XOXSibs! 4 – When I was ten, a man and a woman in a white van tried to kidnap me. They literally tried to bait me with candy and pull me into their van. I ran and they did not follow. I am fairly sure this is the root of about 75% of my anxiety. I was a lollipop away from ending up on a milk carton and I am grateful for every day of my life. 5 – I am addicted to the move Lost in Translation. I can’t explain it, I can’t defend it, but I can’t turn away from it. Something about Bill Murray singing Roxy Music on karaoke, speaks to me. 7 – Last but not least, my most important bucket list line item, aside from getting the writing thing going, is that I have a mad desire to learn to make music. I am crazy for an acoustic guitar and a song sung simply. I absolutely have to learn to do this! That is 7 facts about me, lovely or not. Some of my favorite bloggers are as follows. Apologies to those of you I tagged for 7-7-7 too. This is optional of course, but you do a combo post no one would mind. If you have already been tapped for this, so sorry! If not, share some of you with the rest of us. Gary Bailey – Gary’s last post is fantastic. Gary has a serious writer inside of him clawing its way out. Susan Kicklighter – She who recommended me for the 7-7-7 blog hop. Arran Bhansal – My wonderful writer friend. Adam Dreece – Adam is one of my twitter faves. Victoria Davenport – The lovely Victoria let me borrow her name for main main character in forever Falling. Carrie Mesrobian – Straight talker, real writer! Matt King – Another twitter favorite. Jennie Davenport – New writer friend. JMD Reid – Great twitterer and writer! Louise G. White – Great twitterer and writer! Boy: On Boys – Late addition! Pierian Dodo – Good twitter/blogger people! I just looked at the clock! Going to post this and add more links later. Thanks for reading and have a wonderful week. Squirrels and bourbon… I love it. Making music is a must for your bucket list. There was a time where I played in front of people. Major headbanger. Free beer, free women, and a few bucks left over from the cover charge just didn’t pay the rent. Now I live in the woods and play for deer, birds, … and your squirrels! Glad to never see you on a milk carton. That’s messed up. Oh Bill I knew you radiated cool like no one’s business! I can feel the musician in you in all of your words. One day let’s get some photos in a post! Thanks again for this. Very fun!